The Moon Prince by Kevin Fraser: Page 181: I Must Not Be Dead! Page 181: I Must Not Be Dead! This week's page of The Moon Prince is dedicated to my son, the real-life Max, who poses patiently for this story and just turned 13 this week! 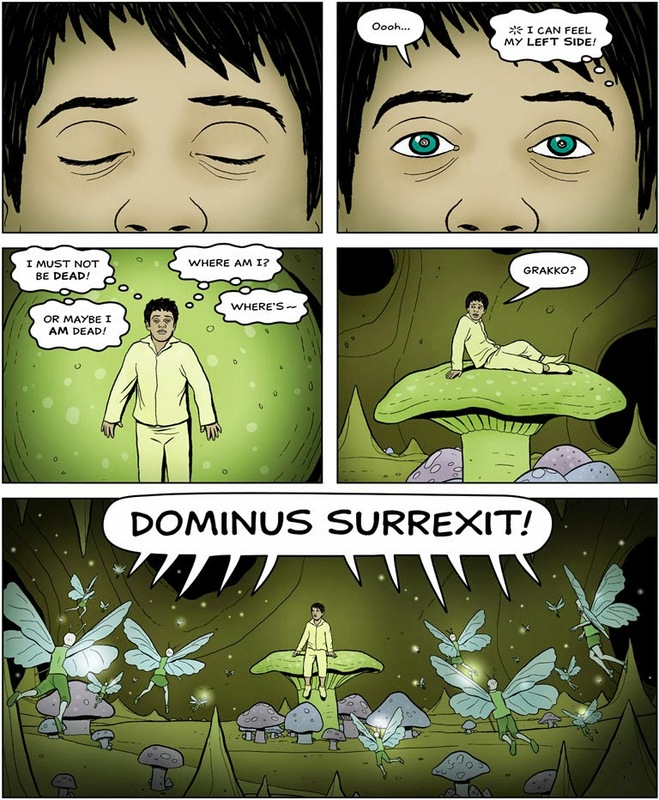 I really hate to spoil the wonderful last panel, but it should read "Dominus experrectus est!" (The lord has woken up). Alternatively "Dominus surrexit" (The lord has risen [from the sleep]). Thanks Norder! I think "surrexit" sounds wonderful!